New to Manchester or the UK? Low or no income? Want to practise your English and discover the local area? Everyone (including refugees and asylum seekers) is welcome on this free 7 week course, every Tuesday 10.30am-3pm from May 3rd. 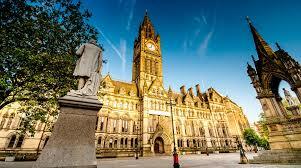 We will meet at St. John’s Centre in Old Trafford; cook and eat some food together; and go out and visit local places. We will be walking to most places – in all weathers – you must be able to walk for at least 30 minutes. If you would like to book a place, please contact the Centre.